Roseleaf Café, the greenest workspace in town. 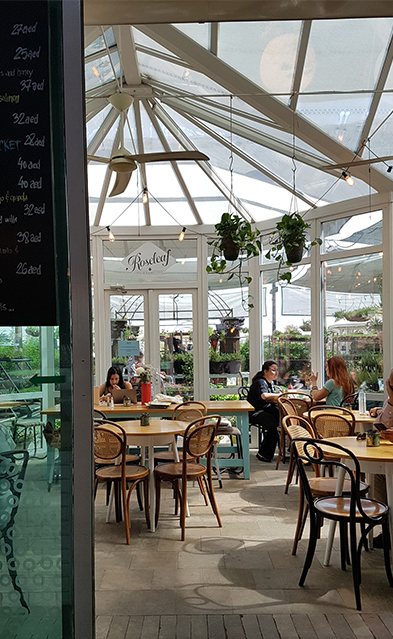 Between plants and fish and sunshine sits Roseleaf Café, a green oasis half indoor half outdoor with some of the best brownies in town. Need a break? Take a look at the little Nemos swimming around or buy a deckchair for the next summer day on your balcony. Roseleaf is calming in every way and of course there are also pots, seeds, sunflowers and many other take-me-home items for your way back from work. Side note: FGB metro station is only a walking distance away.